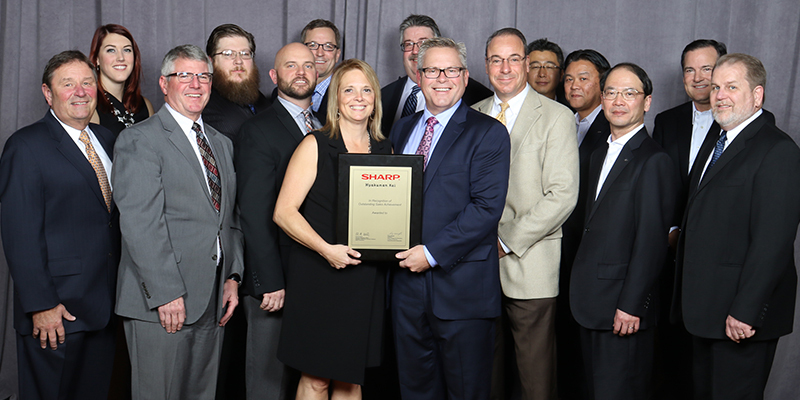 Sharp awards Hyakuman Kai Elite status to exceptional dealers that have achieved significant sales and sales growth over the past year. Rhyme is among a select group of dealers to be in the top 2% of dealers in the United States out of over 500. 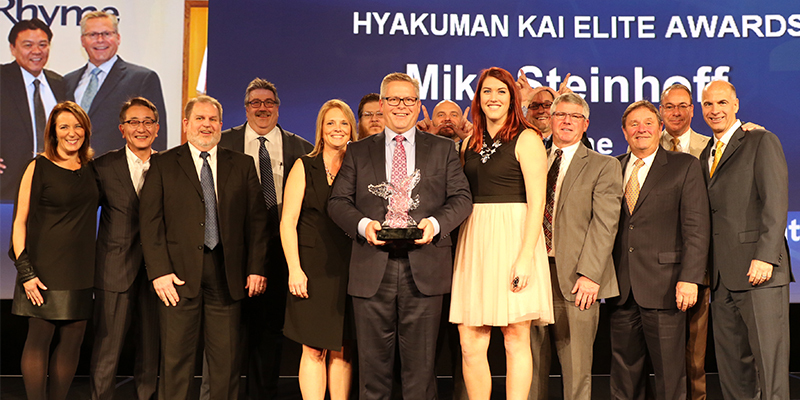 “Recognition that Rhyme is among the highest performing companies in the Sharp dealer community, to me, means that we are headed in the right direction toward achieving our goal of being the best. The award, at the same time, provides satisfaction with what we have accomplished so far, and the desire to keep striving toward our goal,” said Ralph Koenings, Director of Sales at Rhyme. For over 70 years Rhyme has looked for ways to help companies connect their people to the technology they need to be effective and productive. Rhyme has done this through our people who share an uncommon passion for helping others in any way and every way possible. “I’ve heard it often said, Rhyme won’t say no to any request. Combine that with our committed people that have the knowledge and skills necessary to take care of the client, and you can understand why Rhyme has been recognized as an Elite Dealer,” said Koenings.